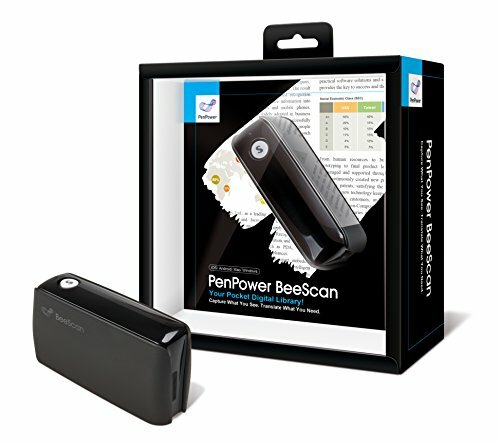 PenPower BeeScan is a wireless portable scanner connecting with iOS/Android mobile devices and Mac/Windows PCs via Bluetooth. Users can scan books, pictures, magazines and papers of any size on the go. The scanned data can be translated or edited for further applications. Save data in various formats including JPG, word, PDF, excel, etc. If you have any questions about this product by PenPower, contact us by completing and submitting the form below. If you are looking for a specif part number, please include it with your message.